Speaking from Turkey Monday at the G20 Summit, President Obama showed no signs of changing his strategy against ISIS as criticism of the administration's failed campaign against the terror army continues to mount. "The [ISIS] strategy that we are putting forward is ultimately the strategy that is going to work," Obama said. "It's important to look at what we're already doing." 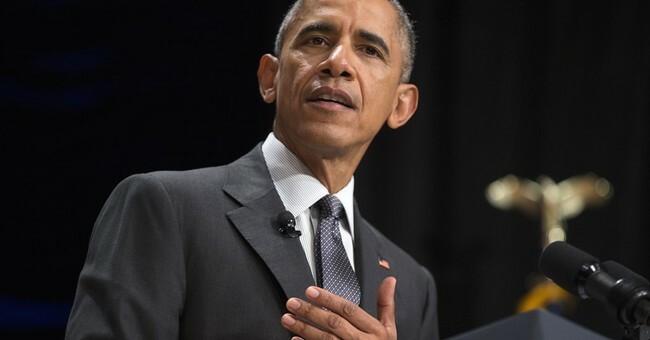 For over a year, Obama's top military commanders, the former CIA director and retired generals have expressed grave concern the current strategy from the Obama administration is failing. "Half&dash;hearted or tentative efforts, or air strikes alone, can backfire on us and actually strengthen our foe’s credibility, reinforcing his recruiting efforts which are already strong. I do not necessarily advocate American ground forces at this point, but we should never reassure our enemy that our commander&dash;in&dash;chief would not commit them at the time and place of his choosing. When we act it should be unequivocal, designed to end the fight as swiftly as possible. While no one is more reluctant to see us again in combat than those of us who have signed letters to the next of kin of our fallen, if something is worth fighting for we must bring full strength to bear." President Obama had been given advice on how to handle the Islamic State of Iraq and the Levant but did not act on it, according to a new report from Real Clear Defense.Obama was preparing his strategy when he rejected the “best military advice” of Gen. Lloyd Austin, commander of U.S. Central Command. "In my military mind what you have is Operation Enduring Confusion. You have a President who cannot make up his mind about what he wants." "I've spent my whole life hanging around the U.S. military. I've been on plenty of times with you from Iraq and other places. I've spent my life with these young guys. I'm waiting for the general or admiral who will stand up on his hind feet and say this is mission impossible. Given the constraints that you've [Obama] given we cannot accomplish the objective you have set. It is impossible to do." "Somebody has to tell the truth...Some general or admiral at the Pentagon or somewhere else in Central Command has got to stand up and say, 'The mission we've been given we can do but we can't with the constraints you've places upon us.'" Further, top members of Obama's own political party are now criticizing the strategy against ISIS and calling for a review. Democratic Sen. Dianne Feinstein suggested that the president is perhaps “too cautious” with regards to establishing a strategy to curb the violence in Iraq and Syria. At this point, there is zero indication from the White House any kind of U.S. strategy will change despite the ISIS attack on Paris last week and the promise from fighters they'll strike inside the United States.